Mr Aamer Ahmed Atozai posted at the High Commission of Pakistan in Australia as New Counsellor. He arrived in Canberra and working hard in the command of H.E. Naela Chohan. Mr Aamer Ahmed Atozai joined the Foreign Service of Pakistan in the year 2002. He holds the position of Counsellor currently at the Pakistan High Commission, Canberra. Before joining our Mission in Australia, he was working as Director (South Asia) at the Ministry of Foreign Affairs, Islamabad. Mr. Aamer Atozai has done Masters in English Literature. He is married and has three kids. 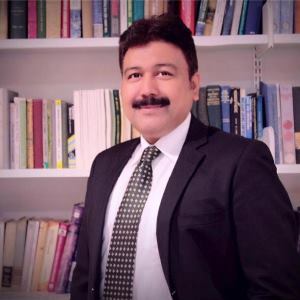 On the behalf of the Australian Pakistani community, the editorial board of Sada e Watan, we Welcome Aamer Ahmed Atozai and hope that he will serve better at the High Commission of Pakistan Canberra.